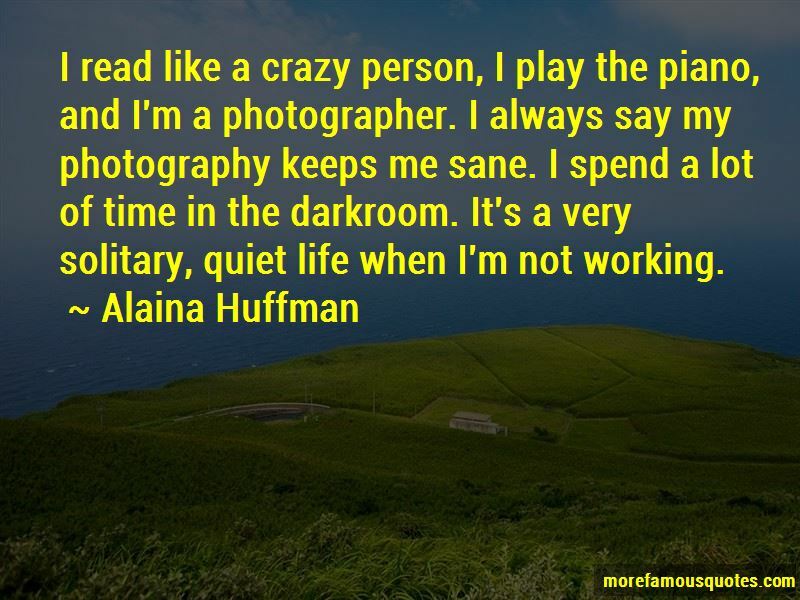 Enjoy the top 17 famous quotes, sayings and quotations by Alaina Huffman. I read like a crazy person, I play the piano, and I'm a photographer. I always say my photography keeps me sane. I spend a lot of time in the darkroom. It's a very solitary, quiet life when I'm not working. I'm excited about becoming a transmedia storyteller. 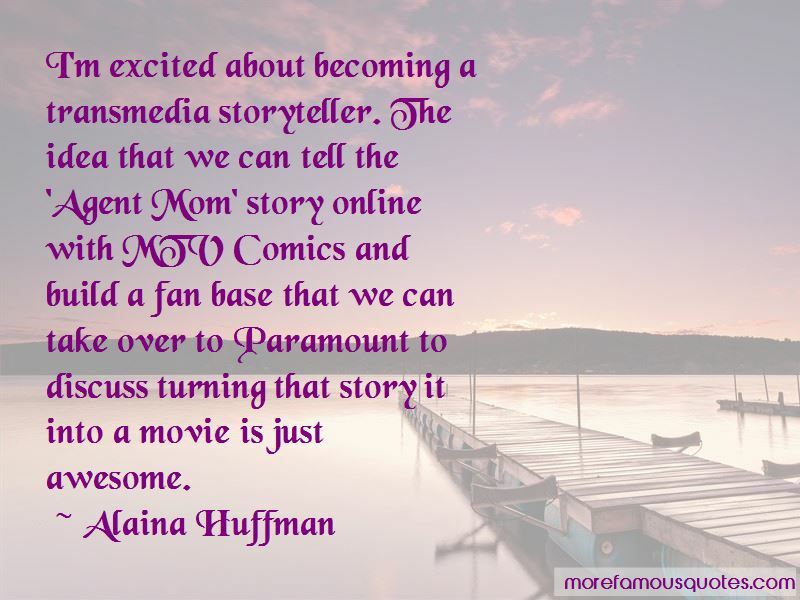 The idea that we can tell the 'Agent Mom' story online with MTV Comics and build a fan base that we can take over to Paramount to discuss turning that story it into a movie is just awesome. I think the type of actor I am, I tend to play strong leading female characters. The shows I've been on happen to be science fiction genre. I did a little film called 'Nina,' a small role. I played a French girl who was a nurse to Nina Simone. Zoe Saldana plays Nina. I grew up in this industry. I'm a third generation actor, and I believe strongly that life and career are two different things. Career is inside my life. I'm also a photographer, a pianist, and lots of different things, so my life consists of so many different elements that there are moments when I have to step away and be me. Want to see more pictures of Alaina Huffman quotes? Click on image of Alaina Huffman quotes to view full size.